Jonathan Zaid was raised playing ball on the field and on the court. His love for sports sparked his desire to understand the body, how it moves, and the best ways to produce optimal physical performance. Throughout college you could find him at a local gym thinking of new exercises to work on with his friends. He graduated from the University at Buffalo with a degree in Exercise Science where he furthered his passion for exercise by participating in internships assisting with the school’s Division 1 athletics. Jonathan went on to earn a Doctorate in Physical Therapy from Franklin Pierce University. Since then, he has continued to develop his passions for helping others find freedom in movement through years of experience as a physical therapist. His goal is to facilitate a game plan to help his patient’s achieve their personal goals. 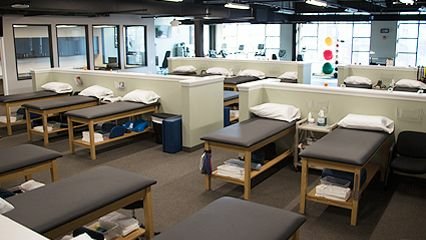 Whether it’s running a marathon, working out at a local CrossFit class, or just performing daily tasks, Jonathan designs individualized treatment plans based on the needs and goals of each patient. A Hoboken resident, Jonathan spends his spare time working out at Hudson River CrossFit, exploring Hoboken’s finest restaurants, and traveling into the city. He is an avid sports fan and loves cheering on his favorite teams—the Knicks, Yankees, and Jets.